Lucas Grogan, LETS NOT AND SAY WE DID, 2019. Acrylic, enamel and glitter on canvas, 75 x 54cm. GROUNDBREAKINGFLORALS is the latest exhibition by Lucas Grogan that focuses on tangible relationships and how to maintain them. Relationships like a friendship, a romance, a positive-progressive political consciousness, Instagram algorithm, polite conversation with Uber drivers and his relationship to financially supporting himself in the Australian arts scene. 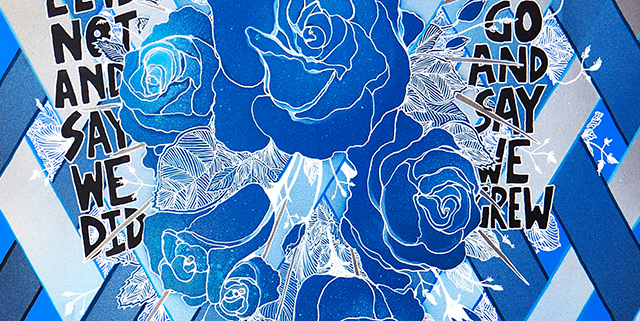 To distil his works with relationships into an agreeable motif, Grogan has chosen roses. 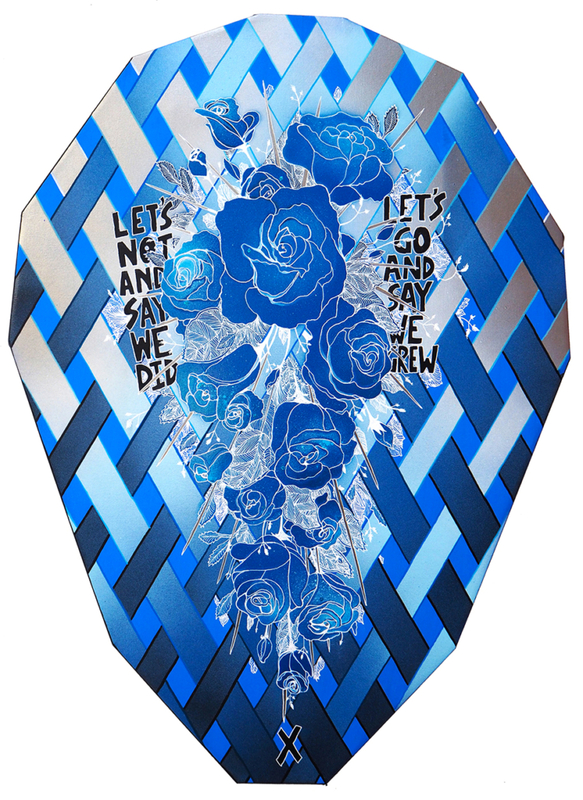 The exhibition includes a dozen shaped canvas paintings and a dozen porcelain vases painted in enamel, each holding a dozen white roses that will die throughout the exhibition.